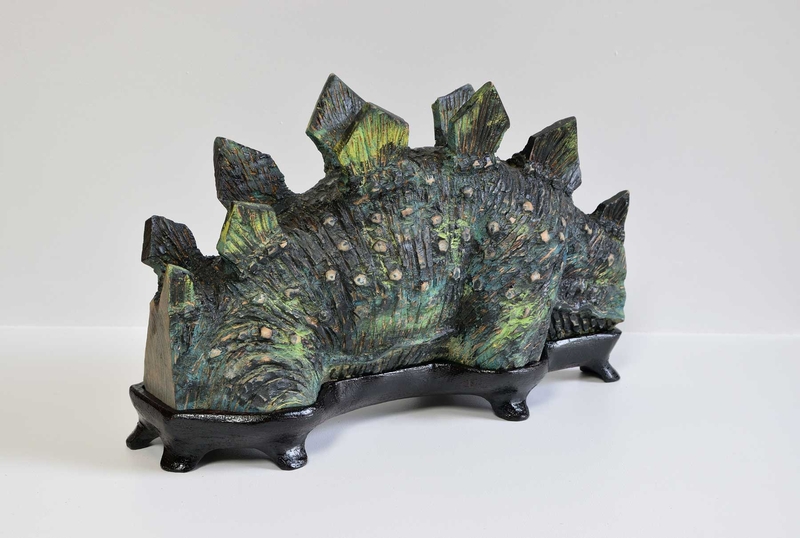 Works by the artist Akihiro Higuchi will be on display in the group exhibition Pure Luxury - East Asian Lacquer at the Museum für Kunst und Gewerbe Hamburg between February 28 and May 26, 2019. For this occasion, we present a selection of works by the artist in this edition of Rediscovering. If you have any questions, please do not hesitate to contact us by email at info@mikikosatogallery.com or by phone on 040 3290 1980. 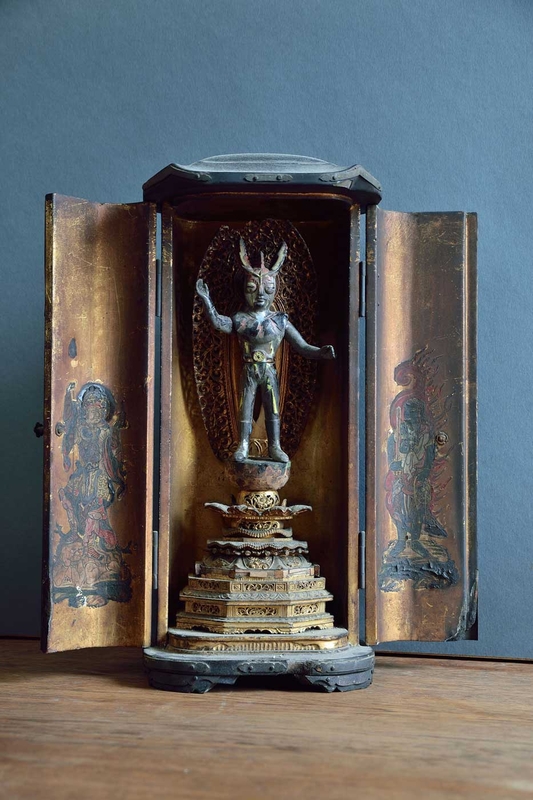 Akihiro Higuchi, Mitate-Buddha, 2016, Old wooden shrine, doll, urushi, H34.3 x 29.5 x 12.5 cm. 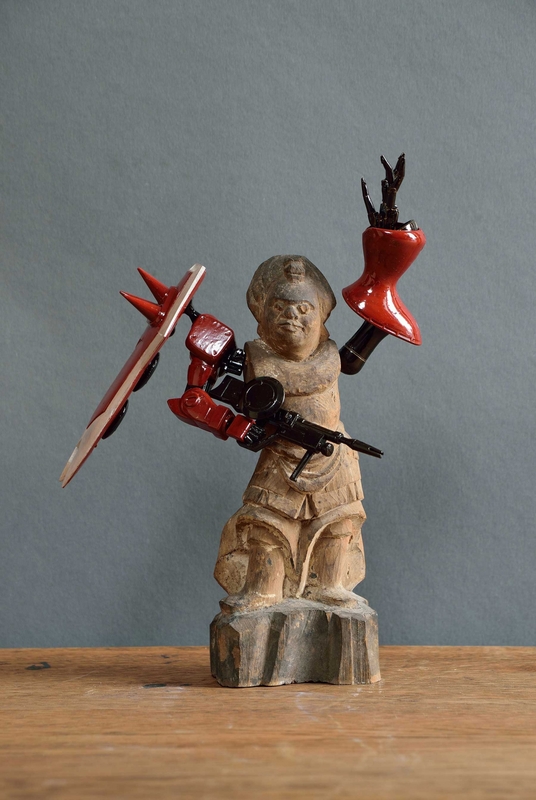 Akihiro Higuchi, Restauration-Shinshou, 2016, old wooden sculpture, plastik, urushi, gold, silver, color, H24.6 x 16.5 x 10.9 cm. 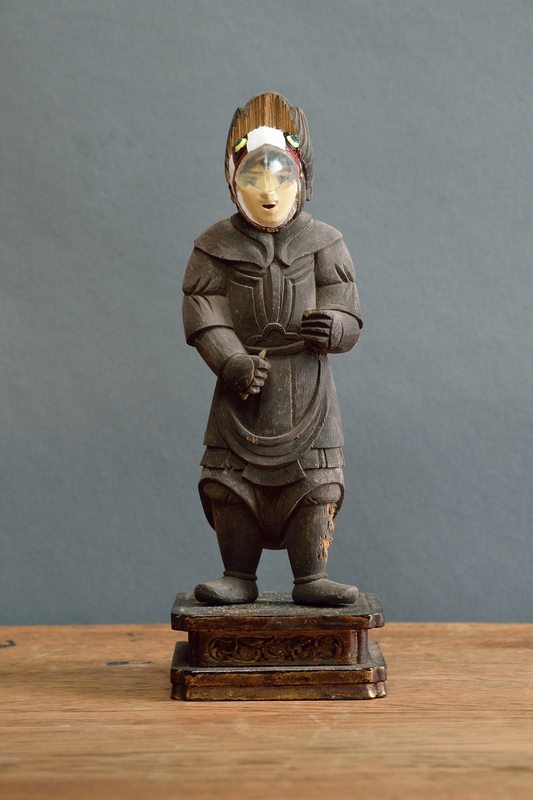 Akihiro Higuchi, Restauration-Hero, 2016, old wooden sculpture, epoxy, color, H25.8 x 9.2 x 7.8 cm. Akihiro Higuchi, Berg Jungfrau (Mountain Maiden), 2017, Chestnut wood, paint (sculpture), oak wod (stand), H13,5 x 18,7 × 6,7 cm. 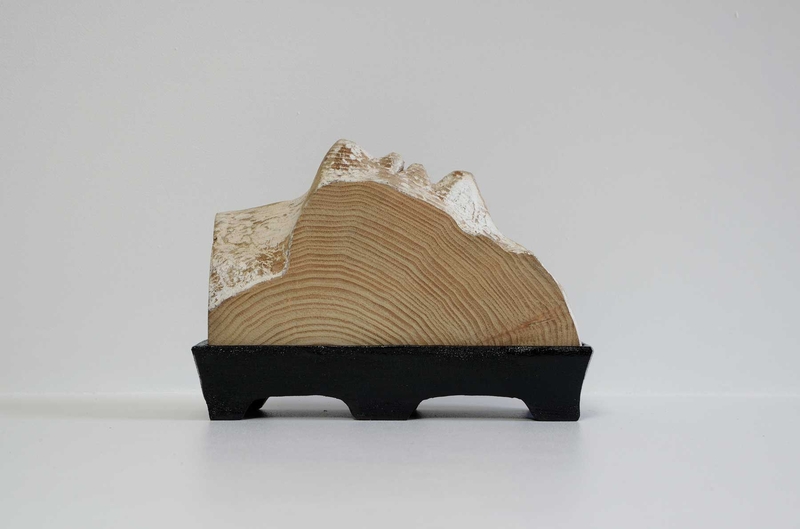 Akihiro Higuchi, Berg Fitz Roy (Mountain Fritz Roy), 2017, Chestnut wood, paint (sculpture), oak wod (stand), H21 x 34,4 × 11 cm. 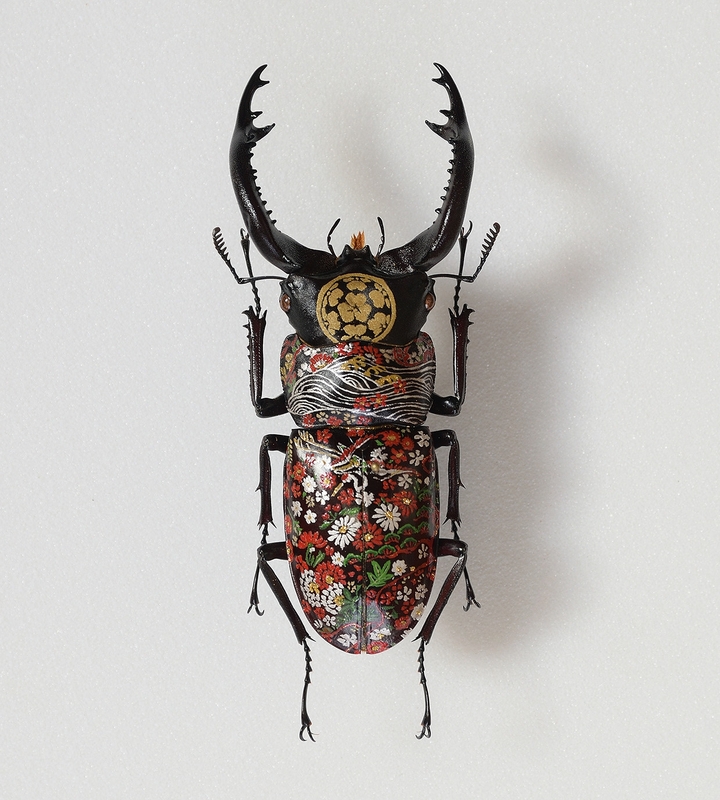 Akihiro Higuchi, Mitate-Urushi (K1318), 2018, insect, urushi, gold, silver, H 20 x 18 cm (frame).